We can't run away from Old Man Winter, but we can fight back with energy-efficient and aesthetically pleasing fireplace inserts! Let’s face it. Traditional, open-masonry fireplaces just aren’t very efficient. 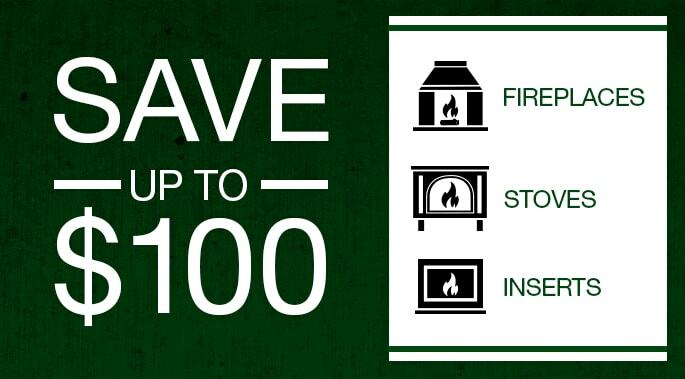 Every minute they burn, these fireplaces can exhaust as much as 300 cubic feet of heated indoor air outside your home, according to the U.S. Department of Energy. That’s 18,000 cubic feet of heated air lost each hour. What happens as the warm air is leaving? Cold air from windows, doors and other parts of your home are drawn to the fireplace. The room may stay warm, but the rest of your house is actually getting cooler. Your furnace takes notice and works even harder to heat your entire home resulting in high heating costs. So you might be asking yourself, how can I enjoy our existing fireplaces without suffering from high energy bills and drafty homes? It’s easy… a fireplace insert! Inserts fit directly into the opening of existing masonry-built fireplaces and offer enhanced heating performance, style and money-saving efficiency. Fireplace inserts are a great way to utilize an existing fireplace. 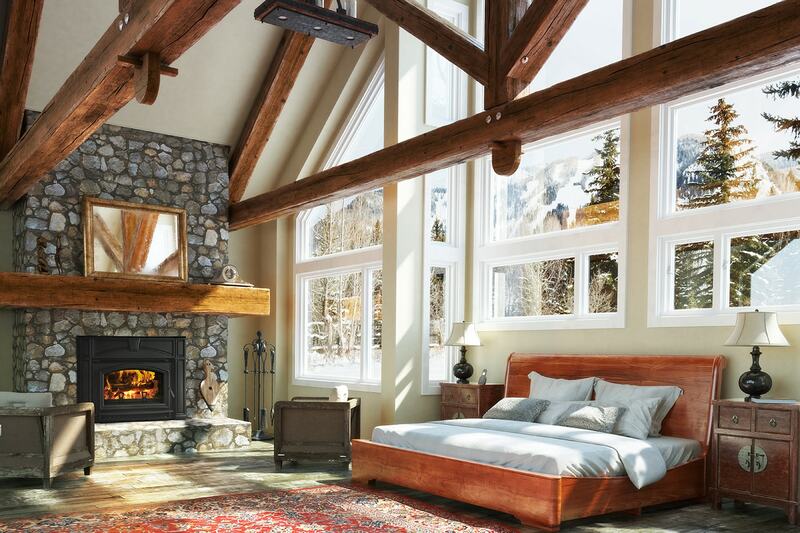 Inserts fit directly into the opening of existing masonry-built fireplaces and offer enhanced heating performance, style and money-saving efficiency. 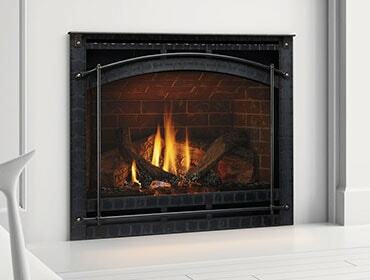 One critical component to look for when evaluating gas fireplace inserts is Direct Vent technology. Direct Vent units have sealed fireboxes and venting that expel 100 percent of exhaust outside of the home—ensuring clean, safe indoor air quality. Fireplace inserts come in numerous designs and fuel types allowing homeowners to find an insert that fits their needs for style and performance. One example made by Quadra-Fire is the Voyageur wood-burning insert. This unit infuses a home’s traditional character with 21st century technology. It blends bold fires and clean, eco-friendly heating with distinctive cast iron styling. A robust 46,000 BTU heating capacity heats up to 2,400 square feet, and a single load of wood can efficiently burn for up to 12 hours. Because there are hundreds of thousands of inefficient wood-burning masonry fireplaces in homes today, hearth product manufacturers are stepping up efforts to communicate the efficiency benefits of fireplace inserts. Many wood-burning inserts are EPA-certified. These appliances save money and meet stringent environmental standards. Pellet-burning inserts are also known for extremely clean and efficient operation. Other inserts use alternative fuels and feature designs that are more contemporary. We can’t run from Old Man Winter, but we can fight back. Updating your masonry-built fireplace with an energy-efficient insert is a safe way to bolster heating performance, interior design—and save money. Learn more as your browse through these convenient appliances.